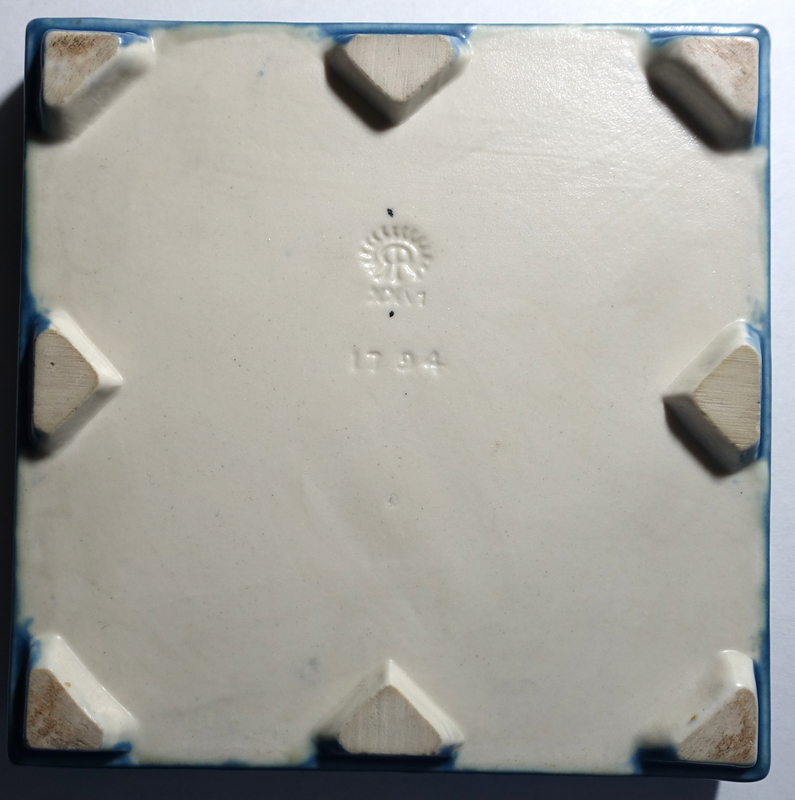 This Rookwood ceramic trivet has always been popular among collectors, selling recently at auction in the range of $300-$500. 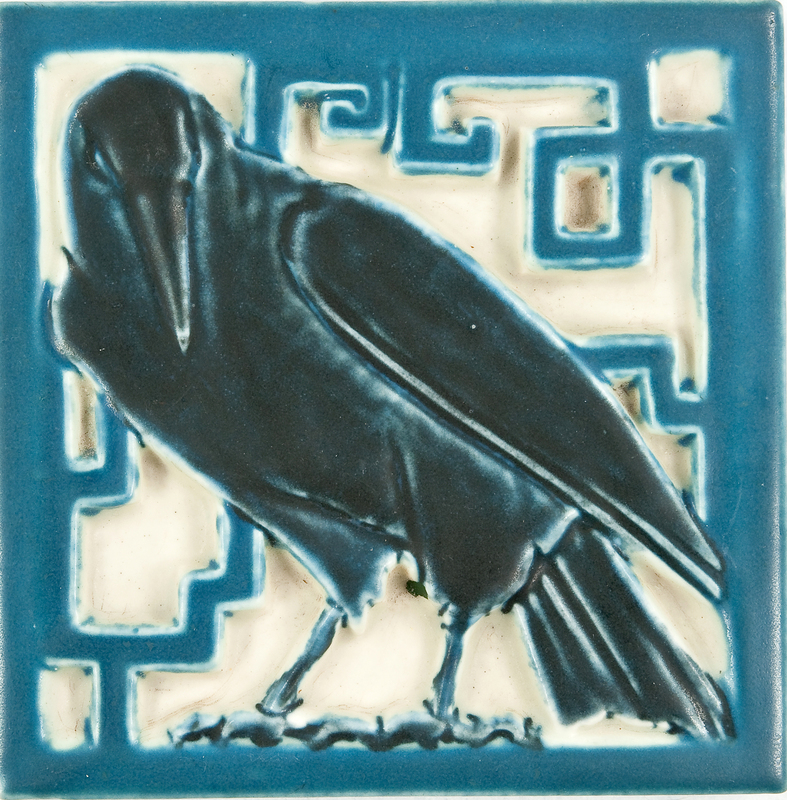 Believe it or not, I won this Rookwood rook trivet on eBay UK 12 years ago with a single bid of 5 pounds (less than $10)! It’s in wonderful condition with no age related crazing. One corner is very slightly concave, probably bumped during production since it’s under paint and glaze. Rookwood Pottery of Cincinnati, Ohio was established in 1880. The Rookwood factory sat atop Mt. Adams. This early postcard features a 1912 view, showing the incline railway with Rookwood Pottery at the summit. This incline was one of 5 in Cincinnati; opening in 1876, it was the last to close in 1948. 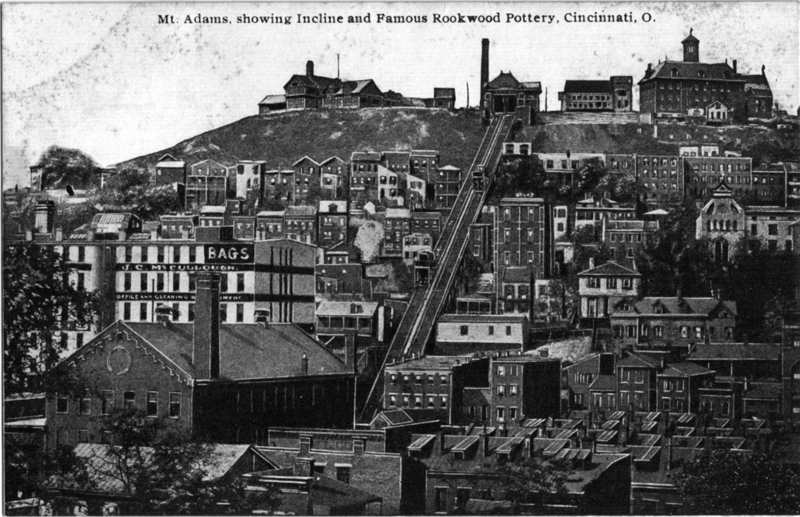 Inclines and Cable Cars provides additional images and information on the historic Mount Adams incline. Rookwood had two main focuses: a production line of tile for flooring and mantles, and an art pottery division. The company remained profitable until the Great Depression, at which time demand for their products dramatically declined. A revival of sorts occurred when Rookwood was purchased in 1941 by a group of investors; however, the company never regained its former glory and was sold again in 1959. Production was transferred to facilities in Starkville, Mississippi, where it continued until its closure in 1967. In 1982 it appeared the remaining Rookwood assets might be sold and dispersed overseas. To prevent this, Rookwood was purchased by a private investor, to be held in trust until such a time as the company could be reorganized under new leadership in Cincinnati. This much anticipated event happened in 2006, when once again Rookwood assumed a presence in their hometown! Production has resumed in new facilities located in the Over-The-Rhine section of Cincinnati. The dream, now being realized, is to return the Rookwood Pottery Company to the prior level of artistry and prestige it once enjoyed. In 2016 the historic Tudor-styled Rookwood building atop Mt. Adams became home to the upscale restaurant The Rookwood. 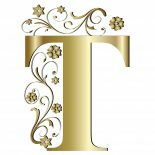 This entry was posted on May 22, 2016 by Lynn Rosack in Antique Trivets & Stands and tagged Rookwood Pottery, Tile.